Part classical, part Pop crossover, and completely unparalleled, Il Quinto consists of a dynamic mix of vocal power: high-tone opera, pop, and classic pop crossover. Highly regarded as a new musical force to be reckoned with, Il Quinto has been winning hearts with their unmistakable charm and vocal prowess across varied musical genres. Il Quinto recorded a brand new song,“Ti Amo” with Britain’s Got Talent Winner, Paul Potts, in London, which is included on their new album, “Facing a Miracle”. 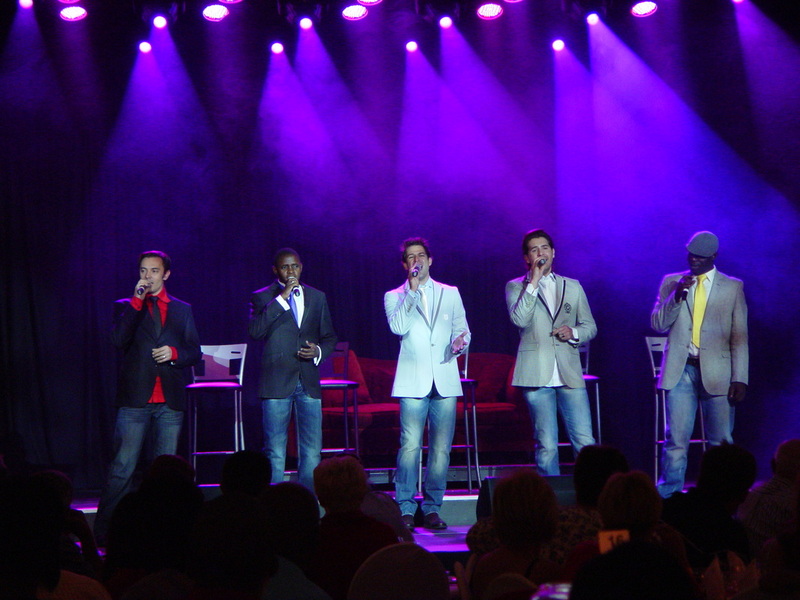 “Ti Amo” was written especially for Il Quinto and Paul Potts by award-winning Swedish songwriters, Peter Hägerås, Jakob Stadell and Fredrik Kempe. Il Quinto, has also recorded the song, "Facing a Miracle", with American superstar, Taylor Dayne, who has sold in excess of 75 million albums worldwide. The song was co-written by songwriter, together with Bruce Robert Francis Smith, Ralph van Manen and Dan Sundqvist. Mastered by Björn Engelmann at CuttingRoom, Stockholm, Sweden. “Facing a Miracle”, reached the Top 10 in 7 European countries by end 2010.‎ It has also reached the # 9 position in the Top 100 Single CDs for 2010 on the world's biggest online store for dance music: Perfectbeat.com! The song outsold releases by Lady Gaga, Pet Shop Boys and a host of other mega stars! All proceeds of this song are donated to the German Aids Foundation. Il Quinto’s album, "Facing a Miracle" includes duets with international stars such as Paul Potts (UK), Hannah Holgersson (Sweden), Udo Mechels (Belgium’s X-factor Winner) and Taylor Dayne (USA). The album consists of original, new compositions, written by award winning international songwriters. Il Quinto toured Thailand during April 2012 and performed at the Chiang Mai Fest in Northern Thailand on 6 & 7 April 2012. Il Quinto will also present 4 concerts in Croatia from 26 November - 6 December 2012. They have also been invited to present 15 concerts in South America and the USA from the 19th February to the 22nd March 2013.